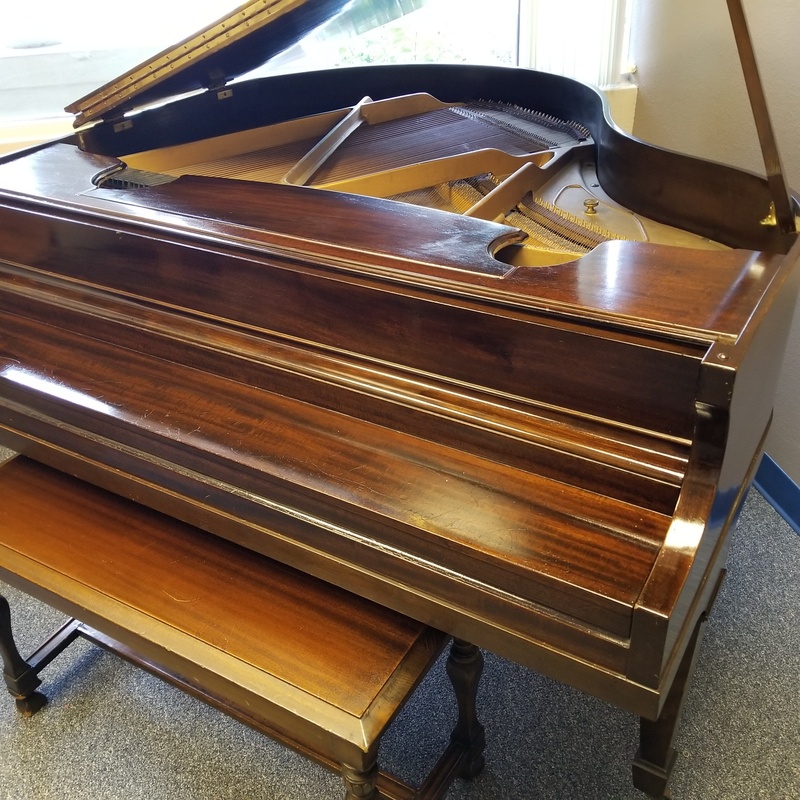 This small U.S.-made grand piano has a dark mahogany cabinet, and is still holding its tune fairly well. 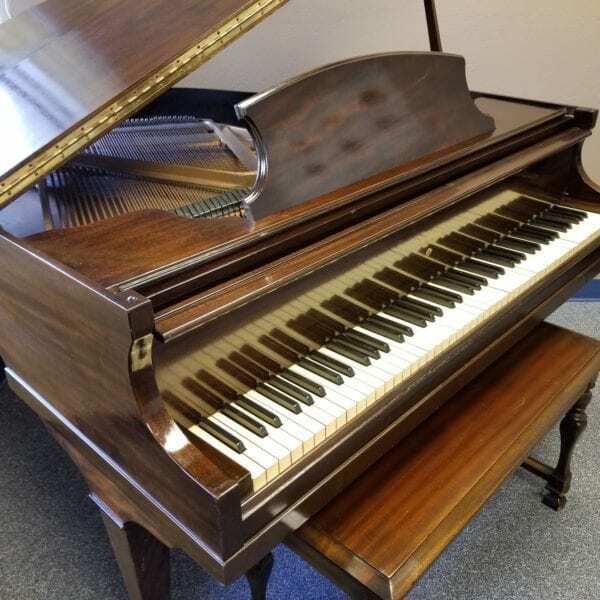 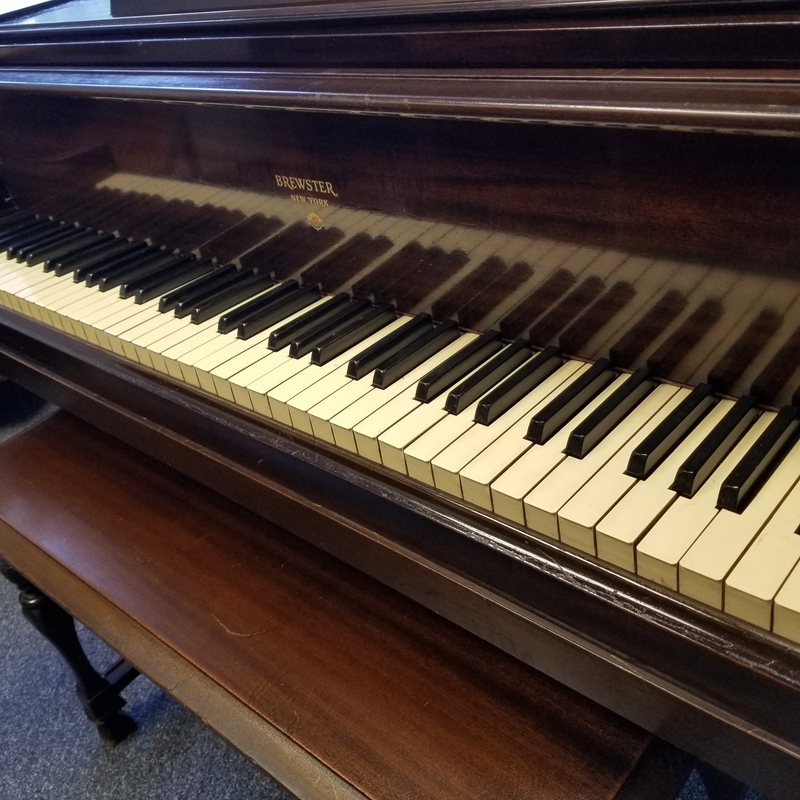 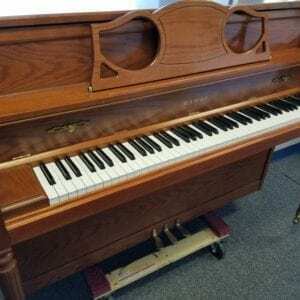 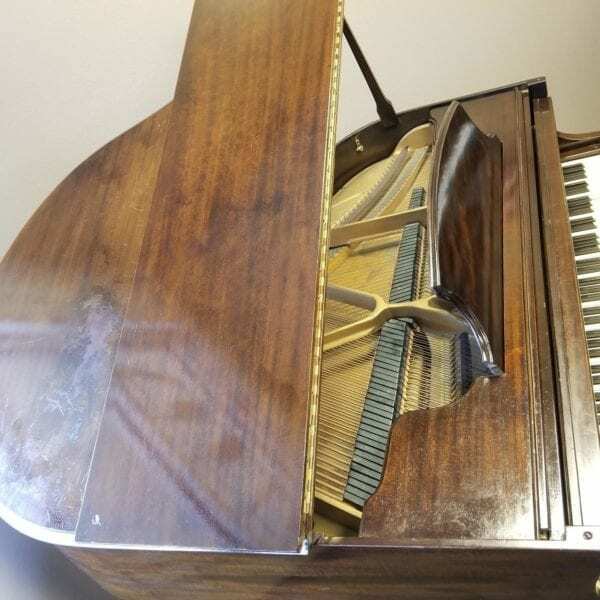 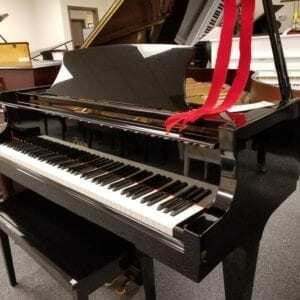 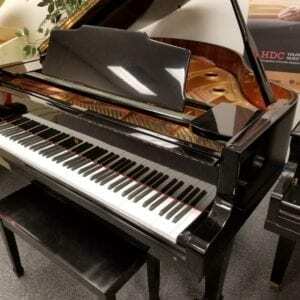 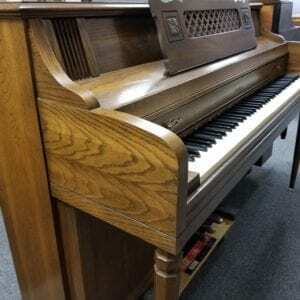 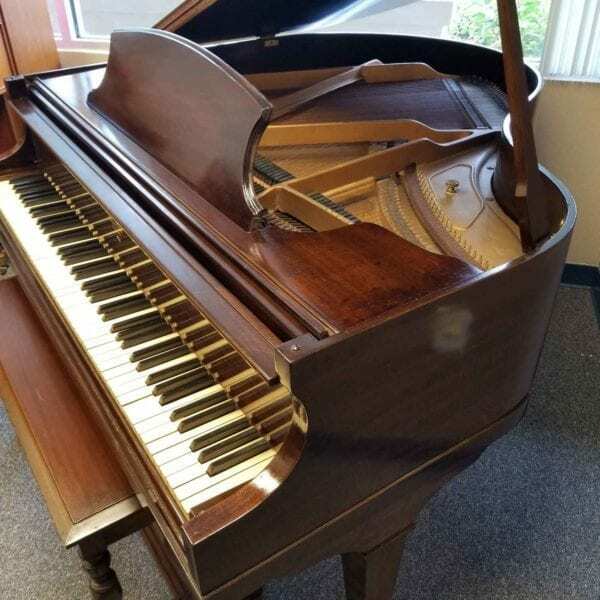 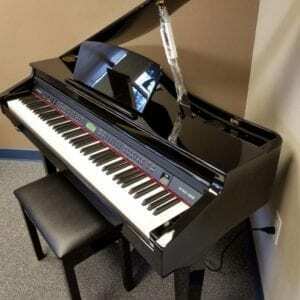 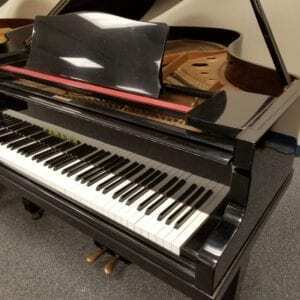 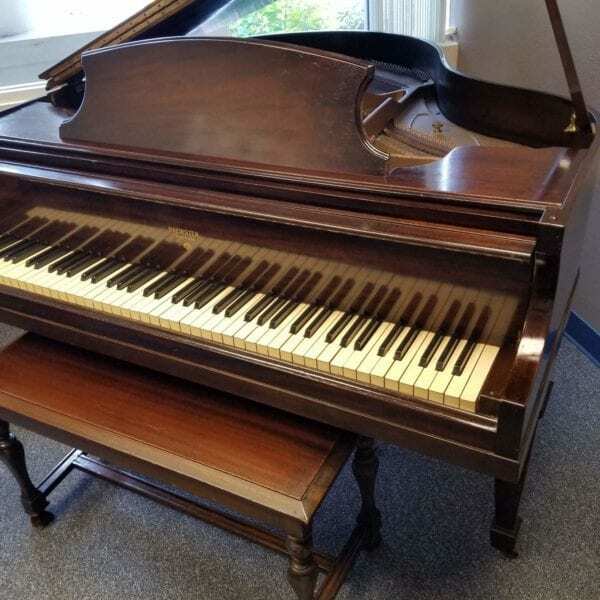 Older grand with cabinet imperfections, offered at a low price. Would be fine starter, and make a “grand presence” in a casual space.